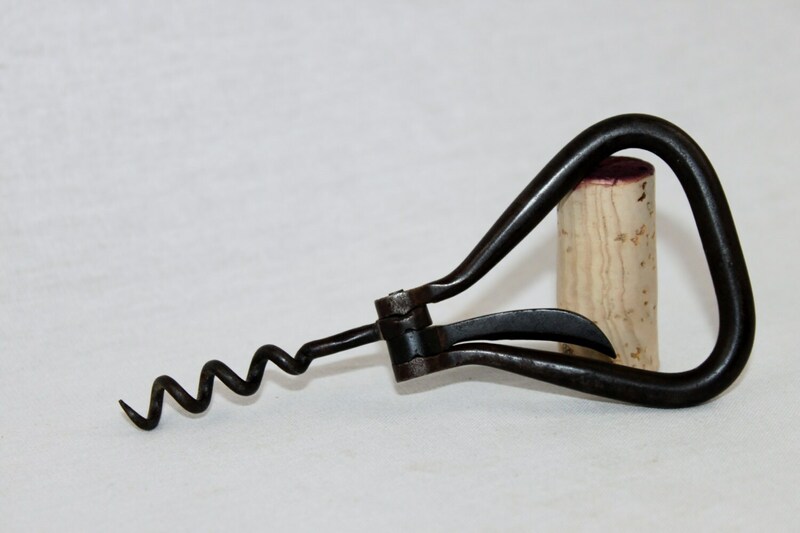 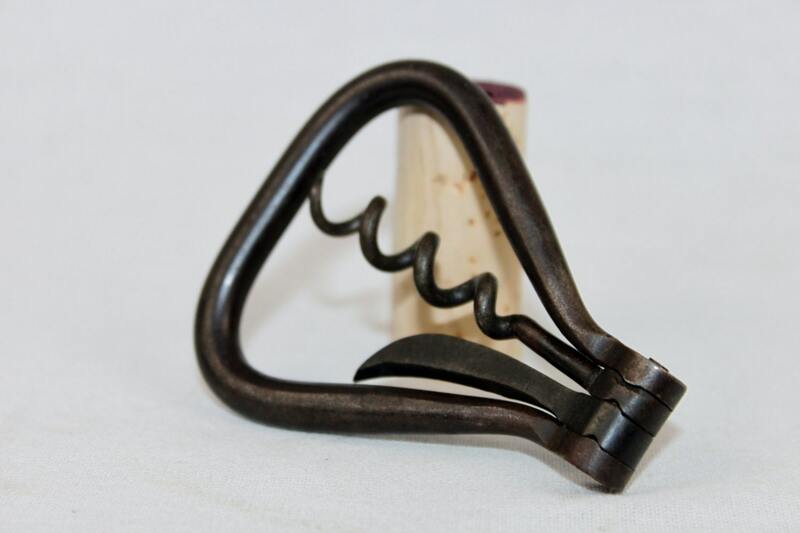 We have for sale an Antique Black Steel Folding Bow Style Corkscrew with Foil Cutter. 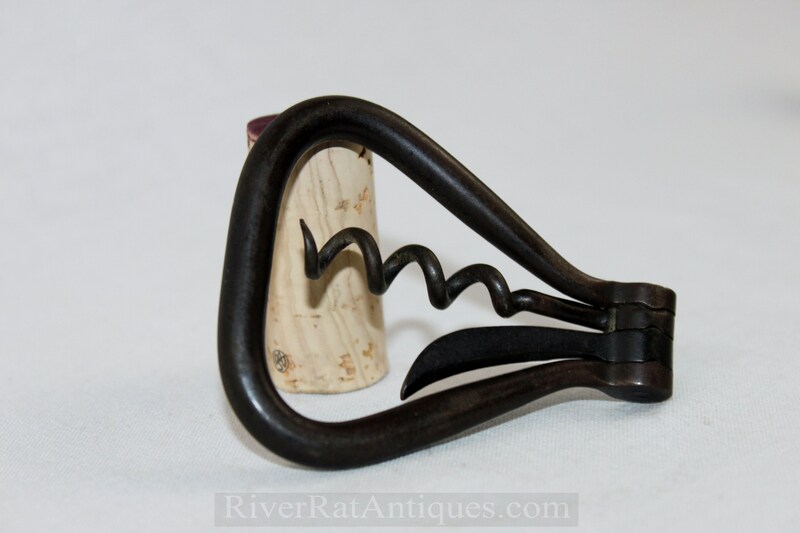 Wonderful Black Steel folding bow corkscrew with foil cutter from the late 1800s, measures 3” long closed, has a full sharp wire helix. 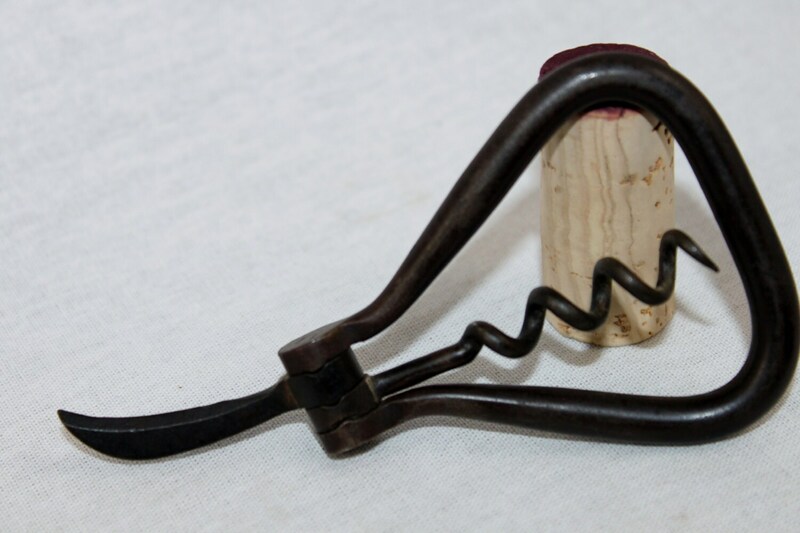 These are also called Pocket and Folding style corkscrews, these where designed and manufactured from the mid-1800s to the early 1900s in several sizes and shapes with many different fold out tools.